Where can I lease or finance a new Toyota in LaGrange, GA? At the LaGrange Toyota Finance Center, our expert-level team is available to offer guidance on both the auto finance and lease processes. Once you decide which option is right for your lifestyle and budget, your representative will create a monthly payment plan with the lowest possible interest rates that correlate with your line of credit health. Where can I finance a used car in LaGrange, GA? At the LaGrange Toyota Finance Center, our expert-level team is available to see you through the entirety of the auto finance process. Once you decide on your vehicle and are ready to commit, your representative will create a monthly payment plan with the lowest possible interest rates that correlate with your credit score. What is the difference between leasing and financing a car? The primary difference between leasing and financing a vehicle is that when you commit to a lease contract, you are essentially renting the vehicle from its manufacturer for an agreed upon period of time, typically anywhere from 24 to 48 months. Leased vehicles are usually the latest models that are covered by their factory warranties for the duration of the contract, and payments are often lower than if the same car were financed. Unlike with financing, lease drivers face restrictions like maximum annual mileage (anywhere from 10,000 to 15,000 per year), and limitations on modification they’re allowed to make to the vehicle. With financing, you’re paying for eventual full ownership of the vehicle. There are no restrictions on the amount of miles you can drive per year, you are allowed to accessorize the vehicle however you’d like, and you can sell or trade it at any point in your contract. With the freedom of financing comes extra financial obligations, as you’re typically expected to produce an upfront down payment and your monthly bill will likely be higher. For more information on leasing vs. financing, explore our virtual finance center or our on-site Finance Center at 1221 Lafayette Parkway in LaGrange, Georgia. Is my credit good enough to buy a car? Who offers special auto discounts or incentives to military members? LaGrange Toyota offers the Toyota Military Program, which provides eligible buyers a $1,000 rebate for use toward any new Toyota model that’s purchased through our dealership and SouthEast Toyota Financing (SETF). For more information on eligibility and requirements, visit our Finance Center at 1221 Lafayette Parkway or call 866-726-1611. Does LaGrange Toyota offer assistance with mobility equipment? 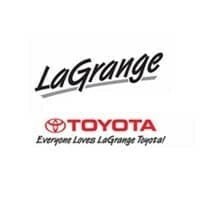 Yes, through the LaGrange Toyota Mobility Program, eligible drivers can receive a cash reimbursement of up to $1,000 for the installation of adaptive equipment, conversions, or the purchase of a Toyota Factory-Installed Auto Access Seat, an industry first piece of equipment. Is there an auto discount or incentive for recent college graduates? Yes, LaGrange Toyota offers the Toyota College Program to eligible buyers. Those who qualify can receive up to $750 in rebates toward the purchase or lease of select Toyota models through our dealership and SouthEast Toyota Financing (SETF).